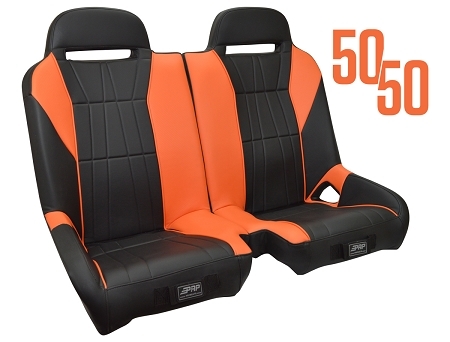 Our innovative 50/50 front bench now with GT styling and larger harness openings. 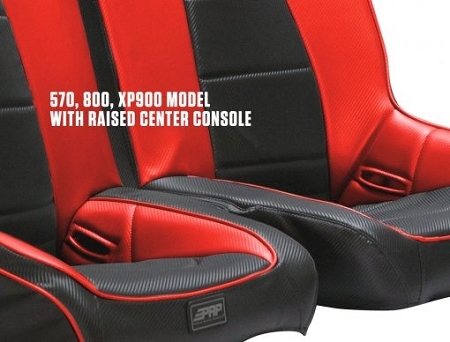 NOTE: 570, 800, XP 900 models feature a raised center console. Custom built and shipped in about 3 weeks. 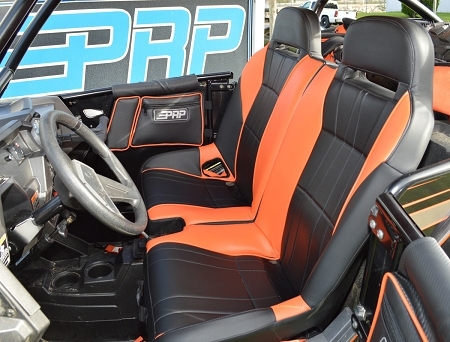 We’ve made our 50/50 Front Bench even better with GT styling and larger harness slots making it easier to install and remove. The XP 1000 and 2016+ 900 compatible models are flat as pictured. The 570, 800, XP 900 models feature a raised center console.